PQR will make Quality Assured and accredited/recognized qualifications/ programs available to all the stakeholders. It will help in international recognition of the qualifications. Moreover it can serve as a mean of trans-national mobility of the learners and the graduates’ along with recognition of credit transfer process. 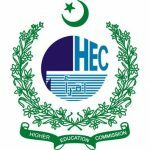 HEC has been developing a Quality Framework (PQF) for higher education sector since 2009 and has been taking necessary steps to develop tools for implementing the framework. PQF is level based and has set levels on which qualifications are recognized in Pakistan. Each accredited qualification has been assigned a level starting from Entry Level-1 to Level-8. PFQ will facilitate learners and employers in assessing the qualification a candidate has achieved and will provide a basis for comparison of qualifications at national as well as international levels. The response of institutions on PQR is encouraging and till date 144 HEC recognized universities and degree awarding institutions, out of total 183 institutions, have nominated their Focal Persons and 15098 programmes have been listed in the PQR portal. PQR will be further linked to HEC initiatives such as attestation system of degrees awarded by the universities, appointment of HEC approved supervisors, award of national research grants for universities, thematic research grants for social sciences and indigenous/overseas scholarships.